The Church of Jesus Christ of Latter-day Saints (LDS Church), the largest Mormon denomination, has had 16 presidents since and including Joseph Smith, the founding prophet of Mormonism. 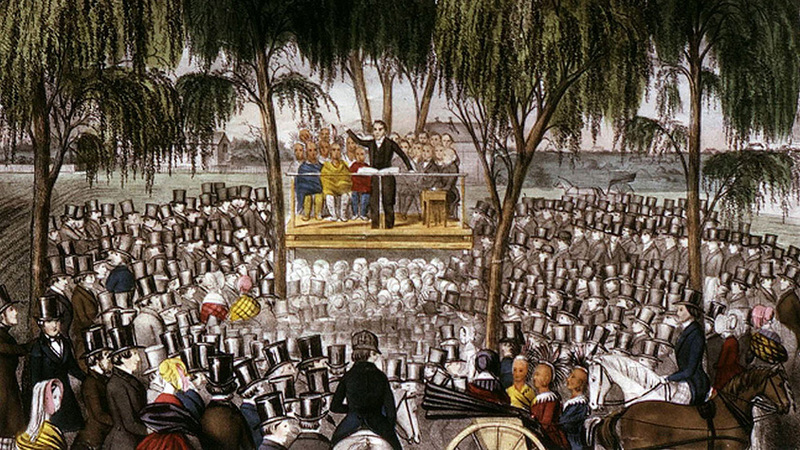 My favorite sermon delivered by Joseph Smith happens to have been the last sermon he delivered to Mormons gathered for a general conference of the Church. And I thought it would be interesting to go back, identify, and read the last sermons delivered to a general conference of the Church by its other presidents over the last two centuries. Below is a list of the last general conference sermons delivered by LDS Church presidents. The list doesn't include President Thomas Monson. He is alive and currently serving as president of the Church, although it's unclear whether his health will permit him to speak at the next general conference, which is coming up soon. So the list only includes fifteen presidents because we can't yet identify President Monson's last general conference sermon. I've also included links to transcripts and recordings, as well as excerpts that I particularly liked, or that I found particularly interesting or illustrative of the sermon. On a personal note, I'm inspired by much in these sermons. And I value the insights they provide into the evolution of my religion and culture, which I love. But I can't say I agree with everything in them. With other members of the LDS Church, I sustain these persons as apostles and prophets, not because I think them infallible and not because I feel any obligation to unquestioning obedience. To the contrary, I consider them all quite fallible, every bit as human as you and I. And I consider the notion of unquestioning obedience to be a stupendously bad idea in general. To sustain a person as an apostle and prophet means, to me, to support that person in the effort to be a messenger (meaning of "apostle" in Greek) and forth-teller (function of a prophet in the Hebrew tradition, as opposed to fortune-telling) of the Gospel of Christ. And I feel that I and others do that best when we seriously listen to their words, thinking about and feeling them, whether or not we end up agreeing with them.